Proverbs 15:18 - but he who is slow to _____ quiets contention. Proverbs 28:25 - but one who trusts in the Lord will be ________. 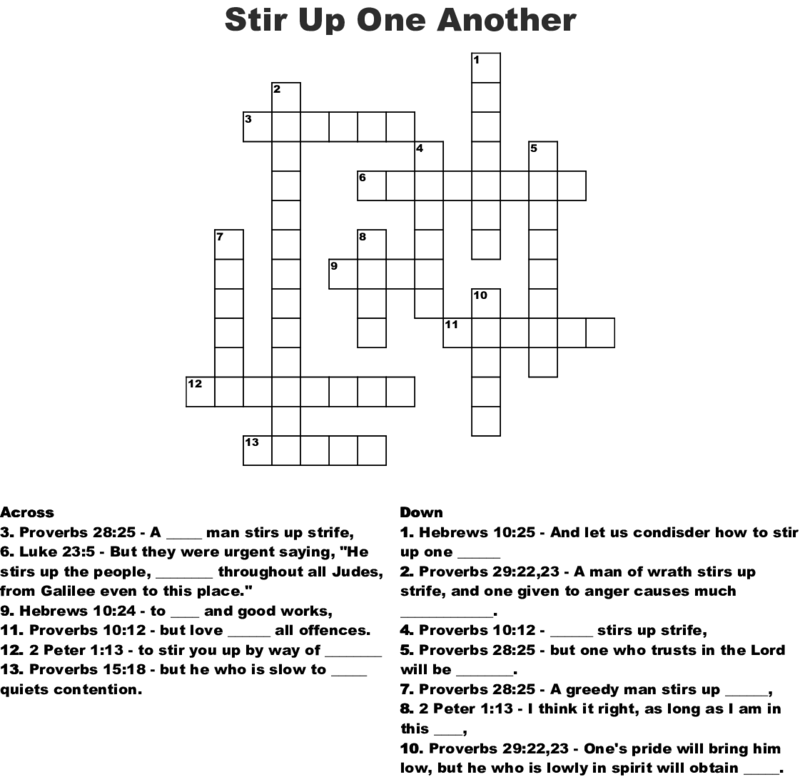 Proverbs 29:22,23 - A man of wrath stirs up strife, and one given to anger causes much _____________. Proverbs 29:22,23 - One's pride will bring him low, but he who is lowly in spirit will obtain _____. Luke 23:5 - But they were urgent saying, "He stirs up the people, ________ throughout all Judes, from Galilee even to this place." Proverbs 10:12 - but love ______ all offences.